If your tenancy is coming to an end and you need help cleaning the old rental place so that you can get your full bond back- we are the right service for you. Professional end of tenancy cleaning service located in Kensington and looking for new challenges. No matter how dirty you leave the place we will do everything in our power to get the full amount of your deposit back to you with zero efforts on your part. For over 5 years we have been the leading end of tenancy cleaning service in the Kensington and ever since we have been enjoying positive feedback and admirations from all our customers. There is no reason why you shouldn’t employ our service and have more free time left to do whatever you want, instead of cleaning with no reassurance of getting your deposit back. Cleaning your old rental place by yourself can be a tremendously huge task and there is a big possibility that you might not even receive the full amount of your bond back, if the end result does not meet your landlord’s expectations. Simply employ our services as trained professional who can, better than anyone clean your former rental place. Every week we make at least a hundred landlords and tenants, all over W8, happy and satisfied with the end-cleaning results that we provide for them. The capabilities of our cleaners exceed your expectations and we assure you in our success. In order to provide better, fast results we have improved the equipment and cleaning tools of our employees with the latest on the market. The enhanced abilities of our technicians coupled with the modern equipment is a reason enough why you should trust in our company to completely relief your old rental place of dirt and dust. When we are on the job we clean every single surface- top to bottom. We never miss a detail, our technicians work in a team for better, faster and efficient end results. Our working schedule is quite flexible, customized to coincide with your busy time table and squeeze in the time that works best for you. We, on the other hand, are available seven days a week, even on bank holidays and you can schedule your cleaning with us anytime. Rest assured that you will receive the full amount of your bond back and part friends with your landlord. We specialize in thoroughly cleaning the place- every little corner and spot will be cleaned and double-checked. The cleaning is conducted with environment-friendly cleaning materials and solutions which can in no way harm people, pets or damage the exterior. We can safely remove stains off walls and furniture, bad odors coming from kitchens, bathrooms, basements and even furniture will be long gone after we put our cleaners on the job. You do not have to worry about anything else but getting the full amount of your deposit, and you will. These housekeepers are wonderful, they did our end of tenancy cleaning and they did so great. I would not hesitate to recommend the service because it was perfect. Every room and area of the property was covered, and there was nothing but perfect cleanliness. Plus, the rates are so economical. Clean surroundings not only bring comfort but contribute to the well-being of every person. When our customers are too busy to sanitise their properties, we give them the required professional help. 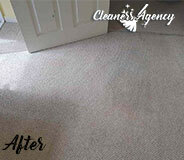 For more than 4 years already Cleaners Agency London has been operating in the cleaning industry. Today, our dedicated cleaners are specialised in a wide range of cleaning services. Whether it goes about a small domestic task or a major cleaning project, expect nothing but scrupulous cleanliness. Unlike other cleaning companies, we believe there is much more to making a customer happy than simply cleaning. 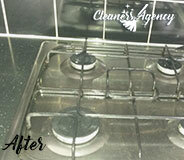 We know that every property requires a different cleaning approach and it is our mission to deliver it. For this reason, our clients are always advised to share their preferences in advance. Only in this way, we are able to understand their unique cleaning needs and ensure a reliable cleaning solution accordingly. If you are a tenant who is about to change home and needs assistance with the end of tenancy cleaning, we are the right people for you. We have established our company years ago with the clear idea to help tenants leave on good terms with their landlords and keep their security deposits. 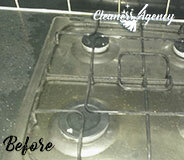 However, our end of tenancy cleaning service is also suitable for landlords and real estate agents. Thereby, the service is designed in a way to suit even the most exacting of requirements. So if the property you are about to vacate, rent out or sell is located anywhere in Kensington, feel free to book our end of tenancy cleaning service. It comes at highly economical rates, with the cleaning equipment included. Besides, we collaborate with highly qualified staff that is well-prepared to provide you with the desired outcome. 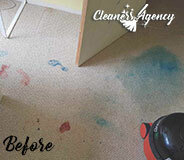 All of our cleaners are true experts with a keen eye for detail. They are coached to work in an organised manner so nothing could be left behind. Kitchens, bathrooms, bedrooms, living rooms and other common areas are deep cleaned from top to bottom. Get in touch with us right away and we will come to your rescue.